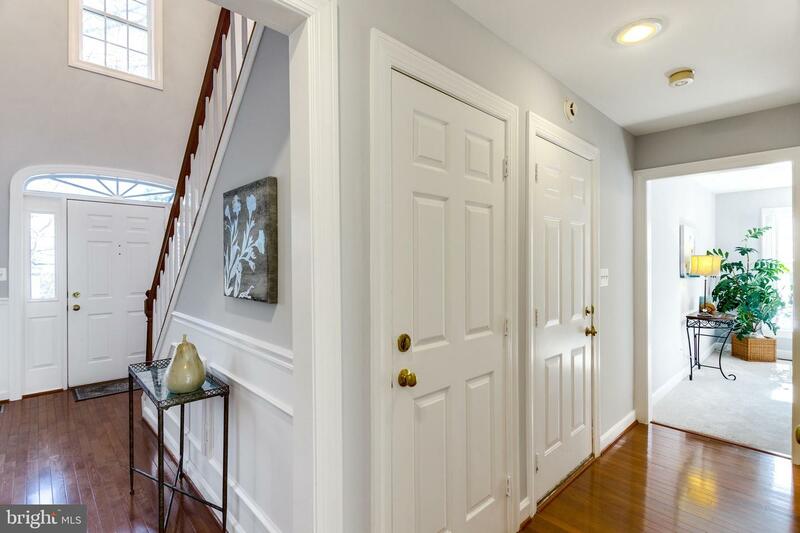 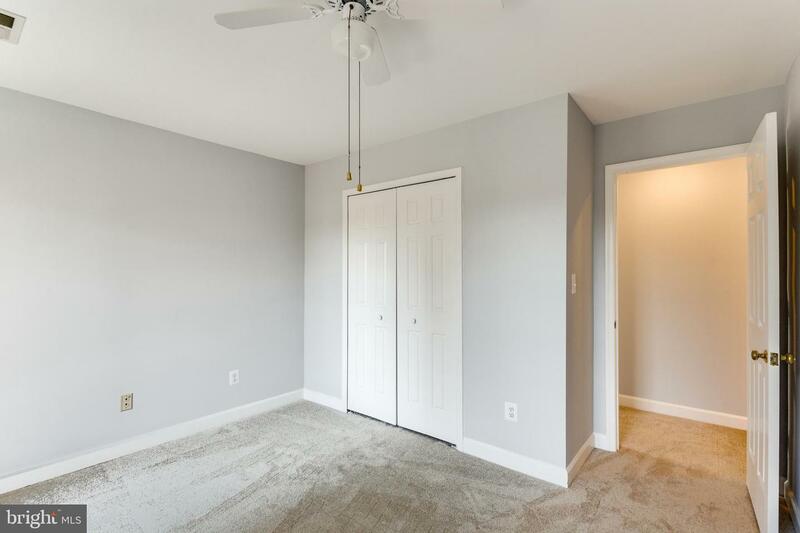 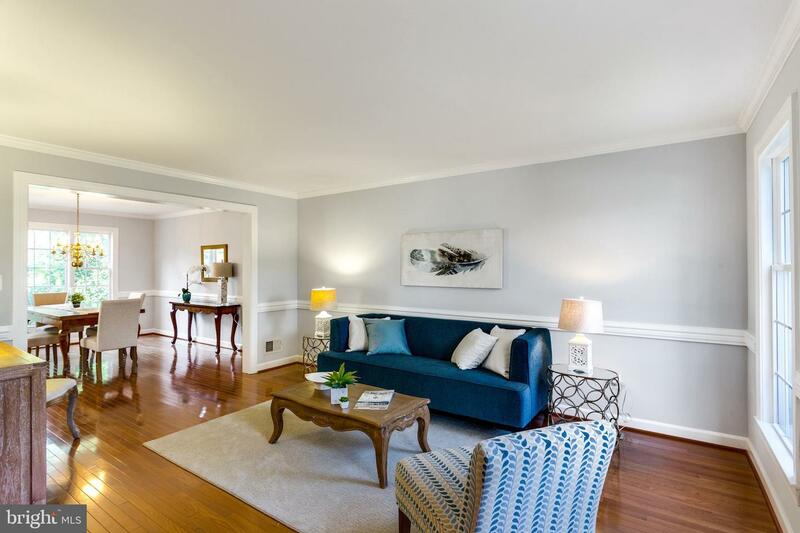 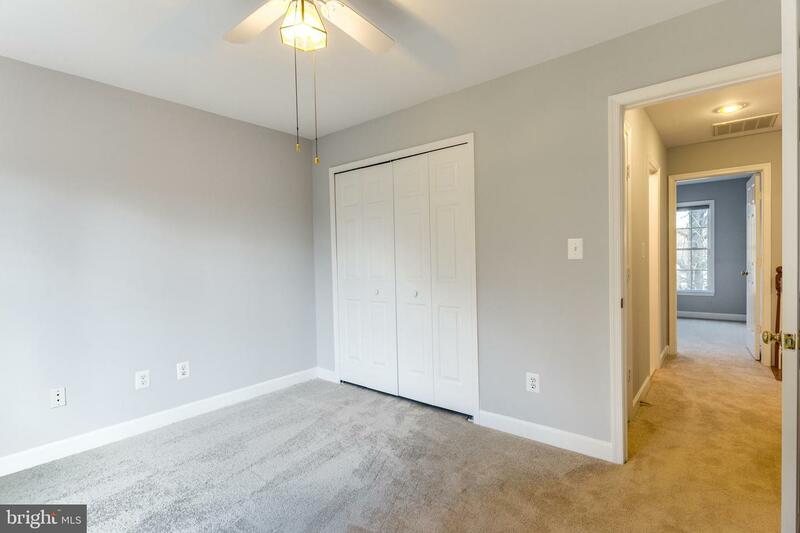 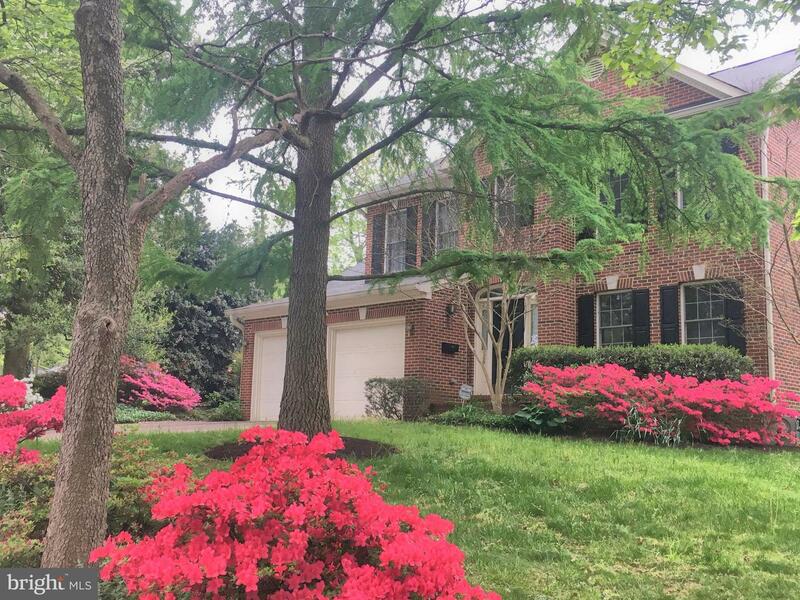 Welcome home to Worthington Circle, ideally located just minutes to DC, The Pentagon, National Landing (new home of Amazon HQ2) and Reagan Airport. 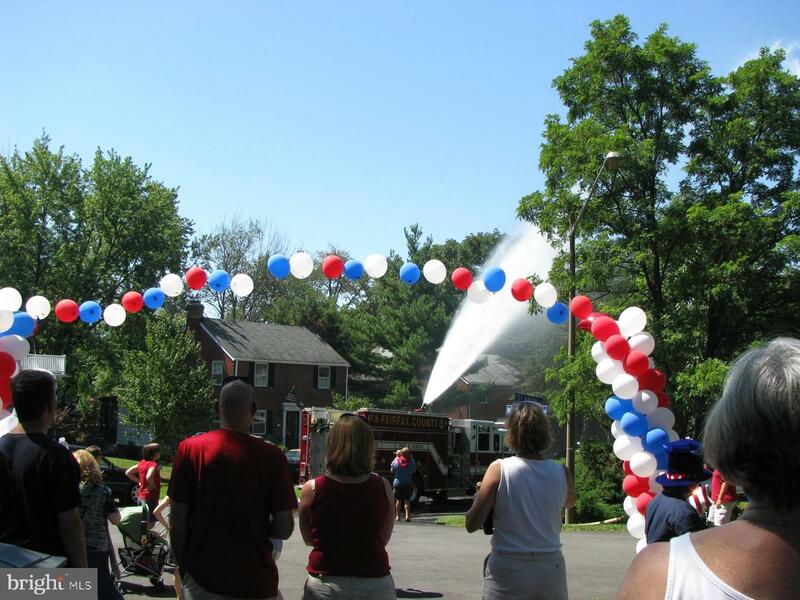 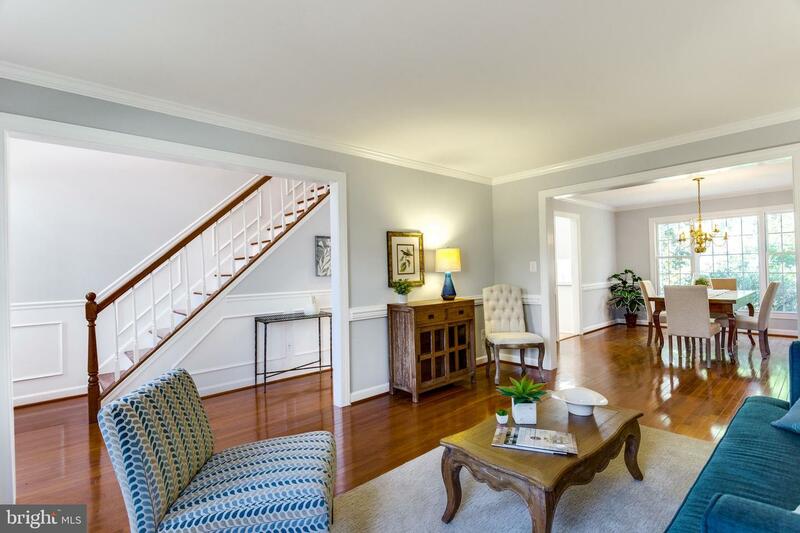 Dating back to the1930's, this community is steeped in tradition with an eye to the future. 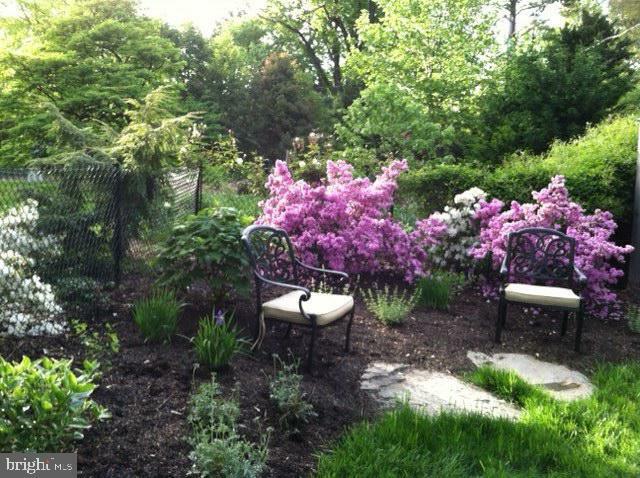 You~ll enjoy coming home to this private retreat that has been lovingly maintained by its only owner. 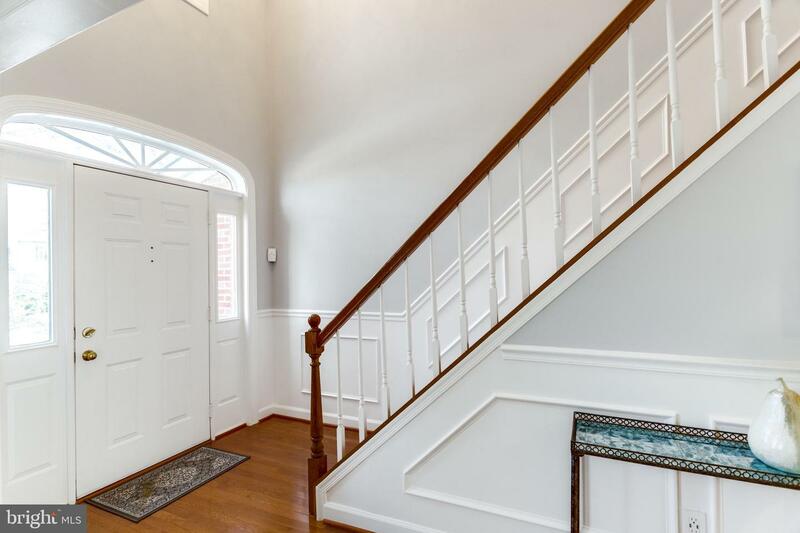 From the moment you enter the two-story foyer you will appreciate the care that has gone into making this a wonderful place to call home. 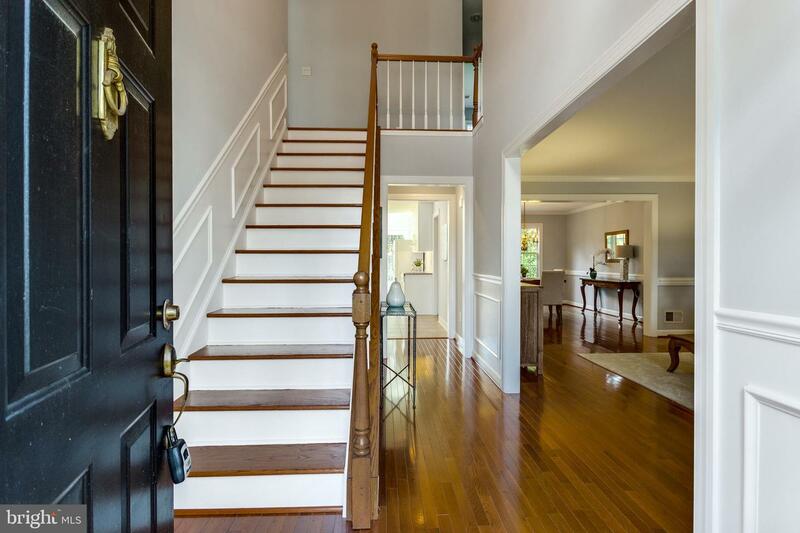 Newly installed hardwood flooring spans the foyer, living and dining rooms, giving this home a warm and up-to-date look and feel. 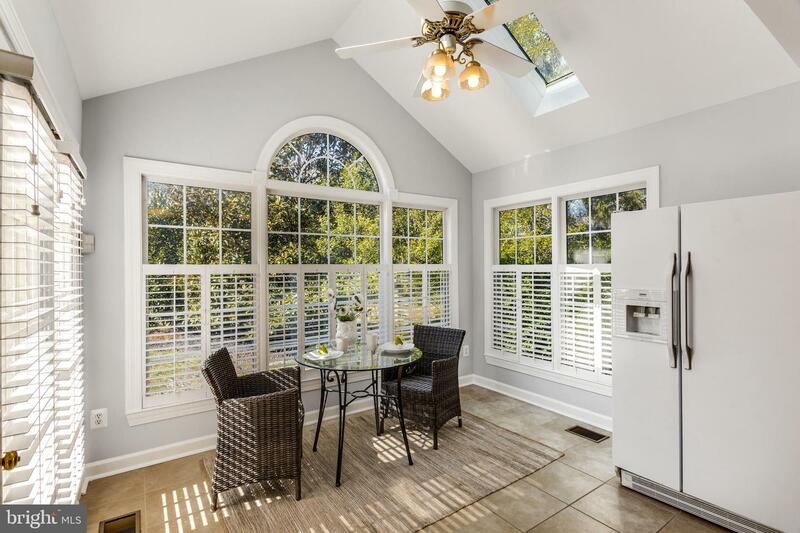 Natural sunlight abounds through the floor to ceiling windows. 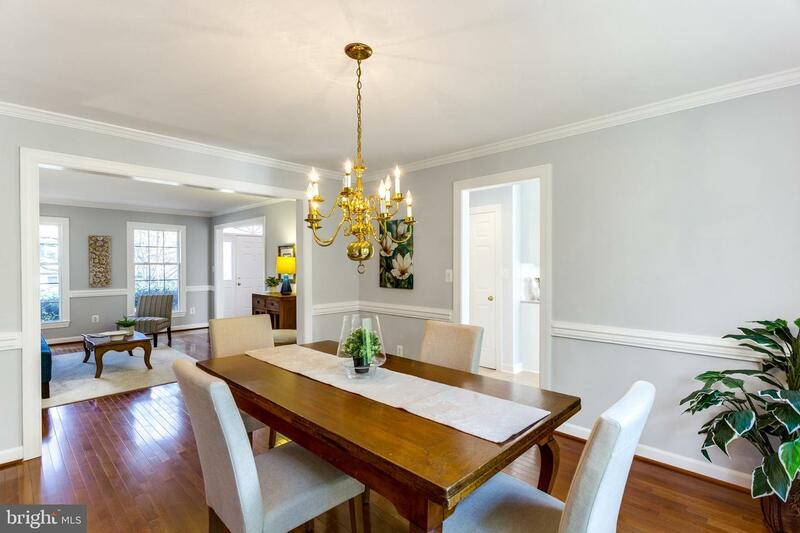 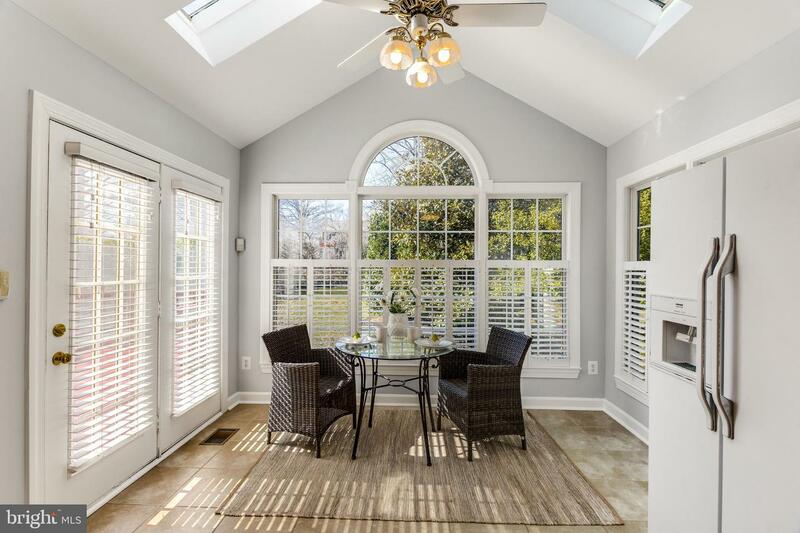 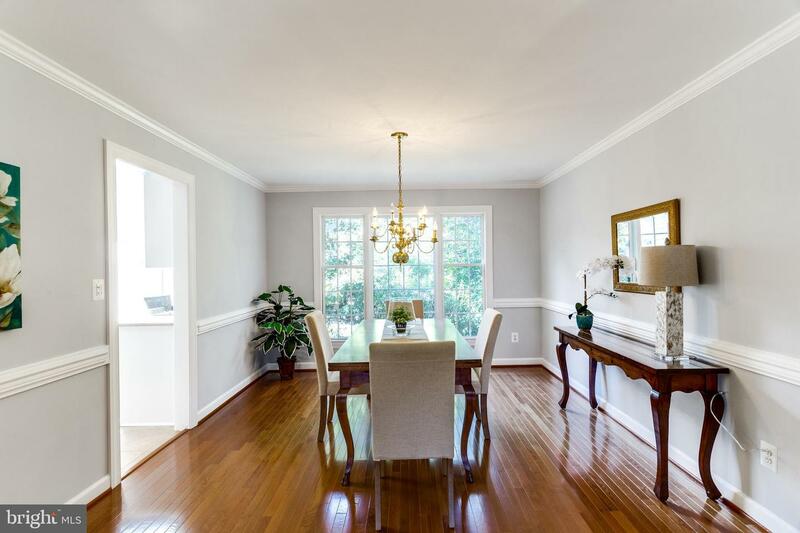 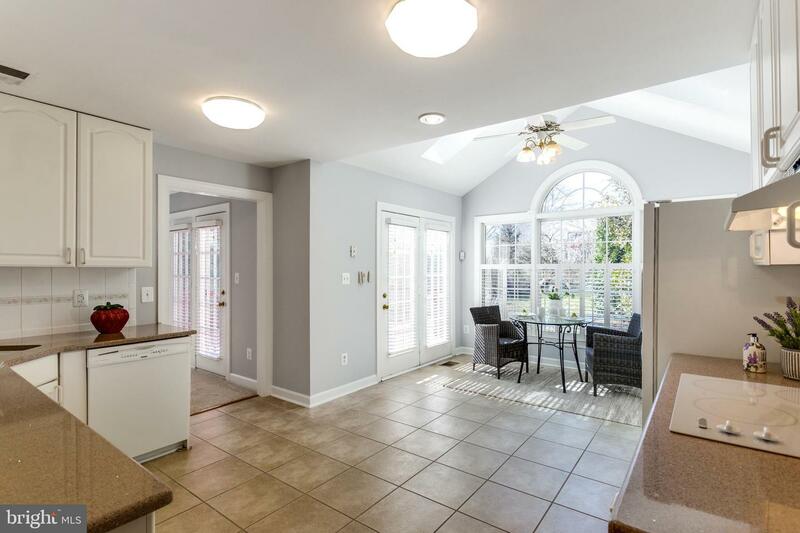 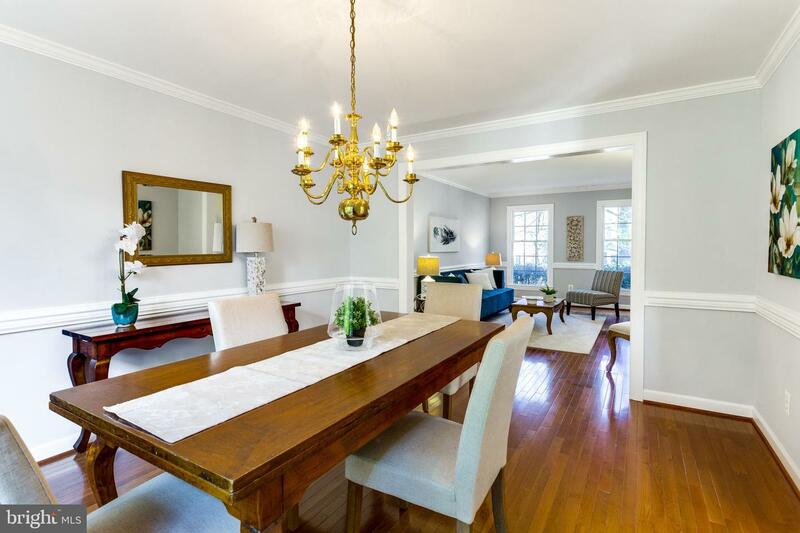 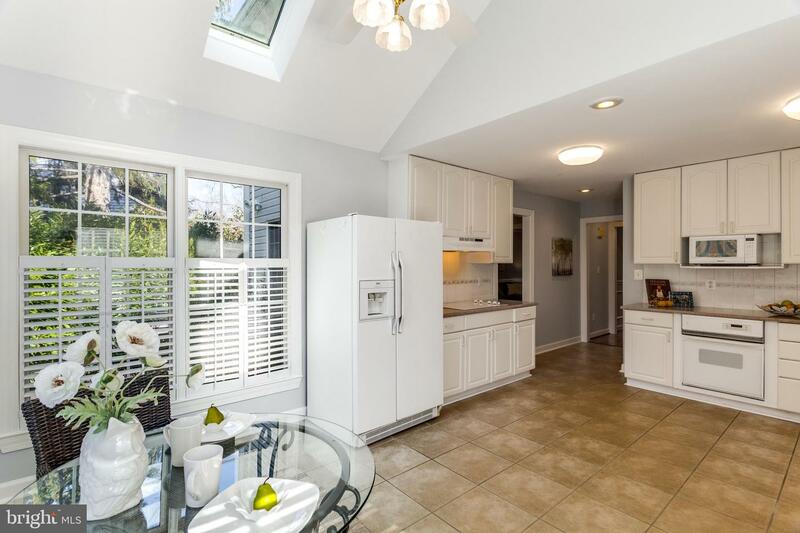 Start your day in the sunny breakfast room highlighted with vaulted ceiling and skylights. 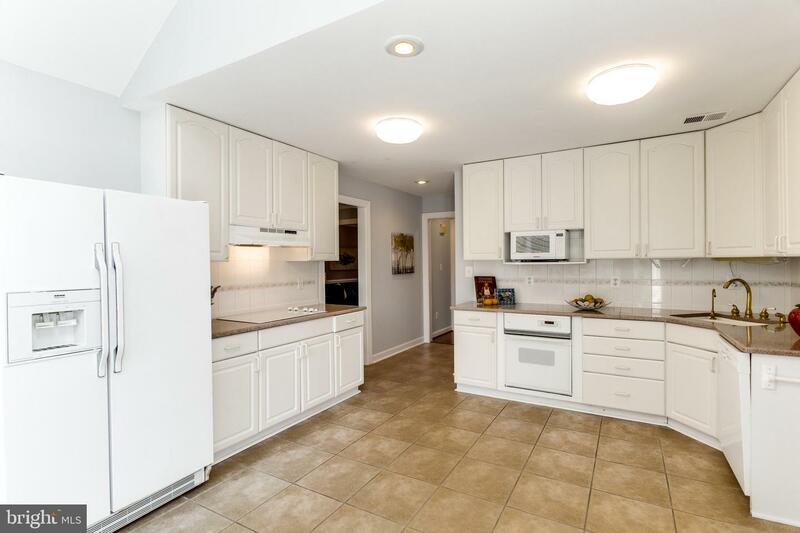 A sparkling white on white kitchen featuring easy-to-care-for Silestone counter tops is perfect for the seasoned chef or the weekend cook. 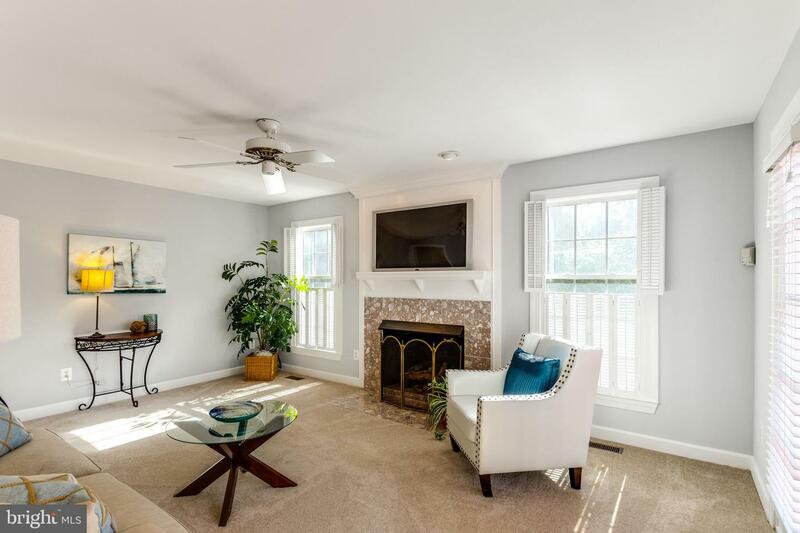 Relax and cozy up to the gas fireplace in the main level family room with French doors leading to the deck and overlooking the professionally landscaped yard. 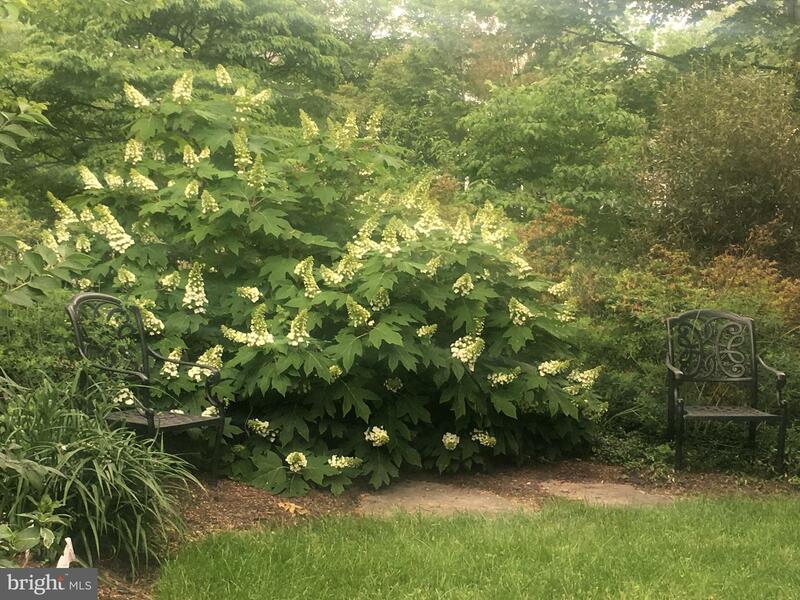 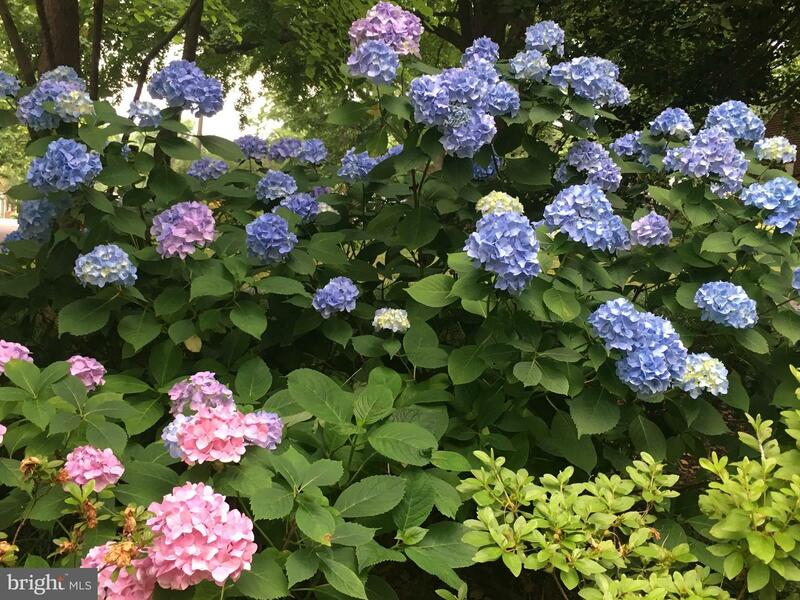 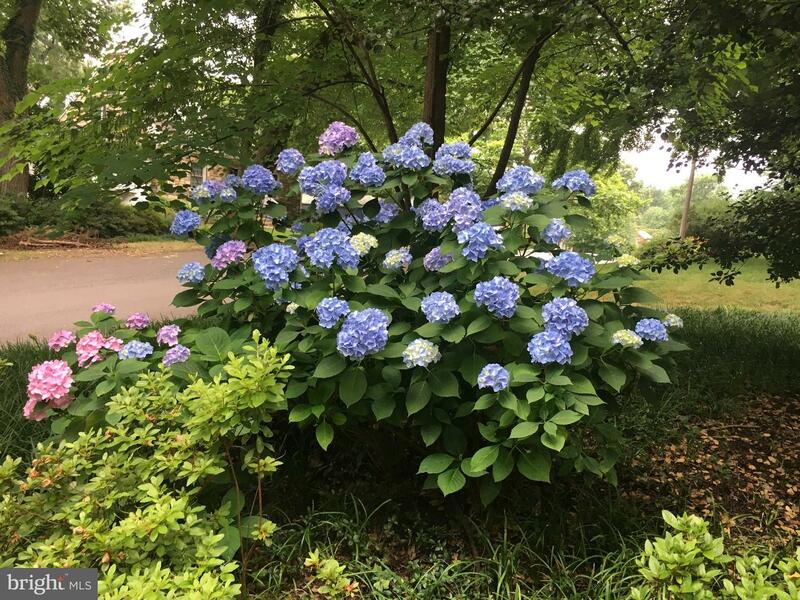 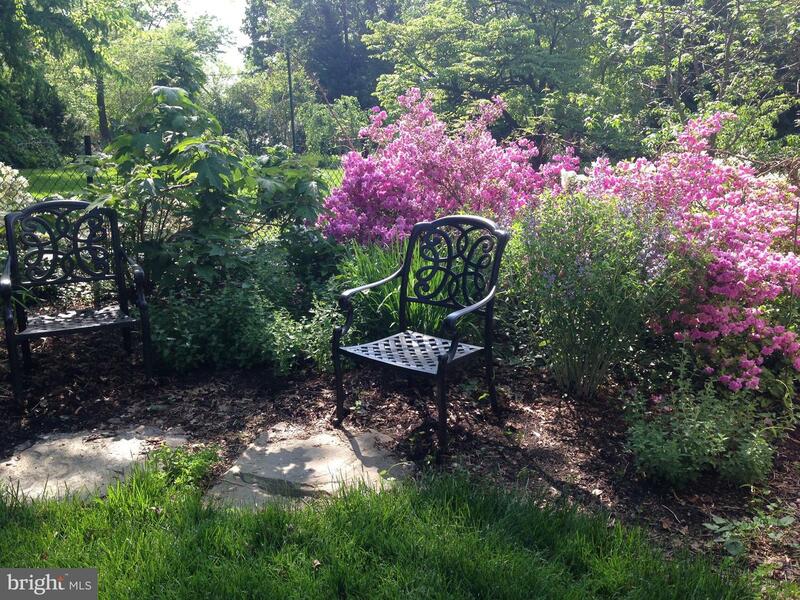 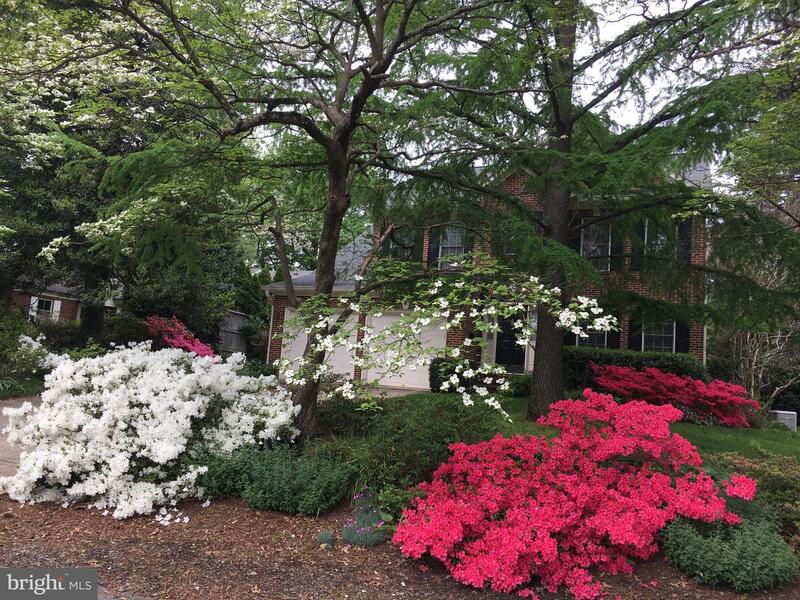 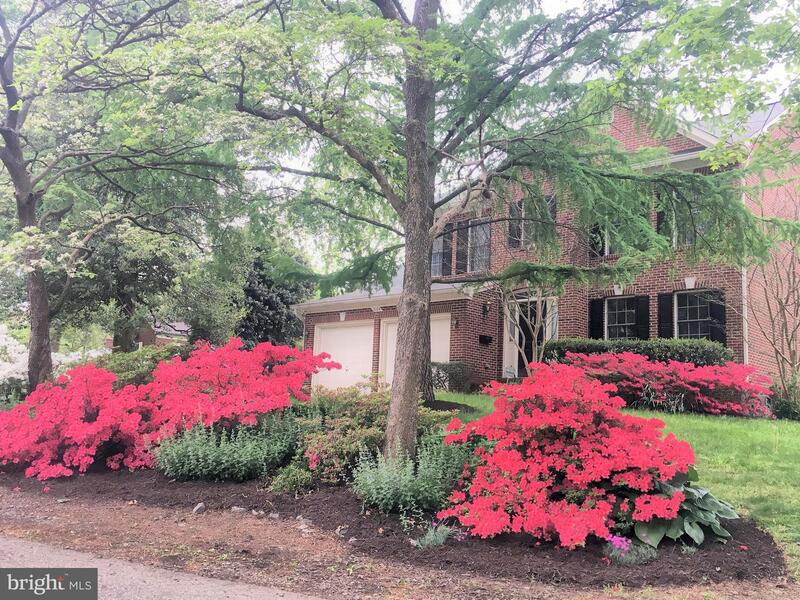 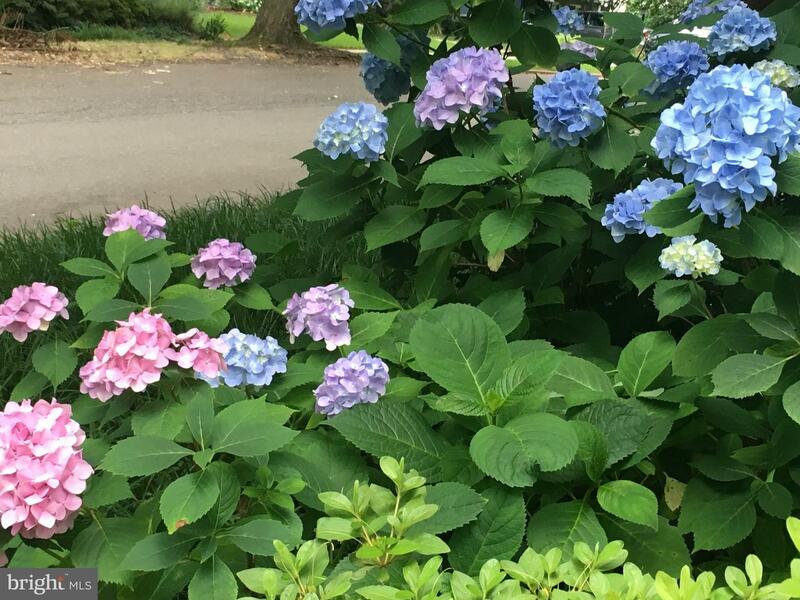 You~ll enjoy an amazing array of color all season long from low-maintenance azaleas, hydrangeas and ornamental trees. 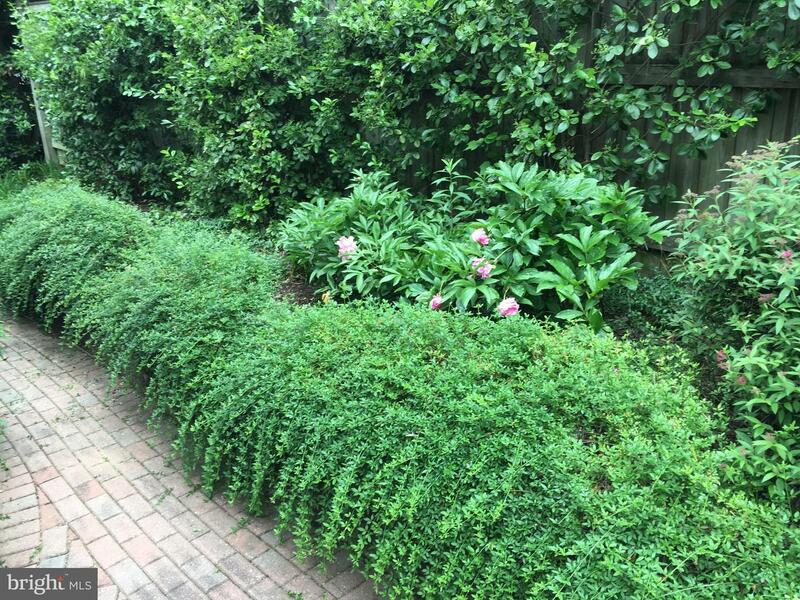 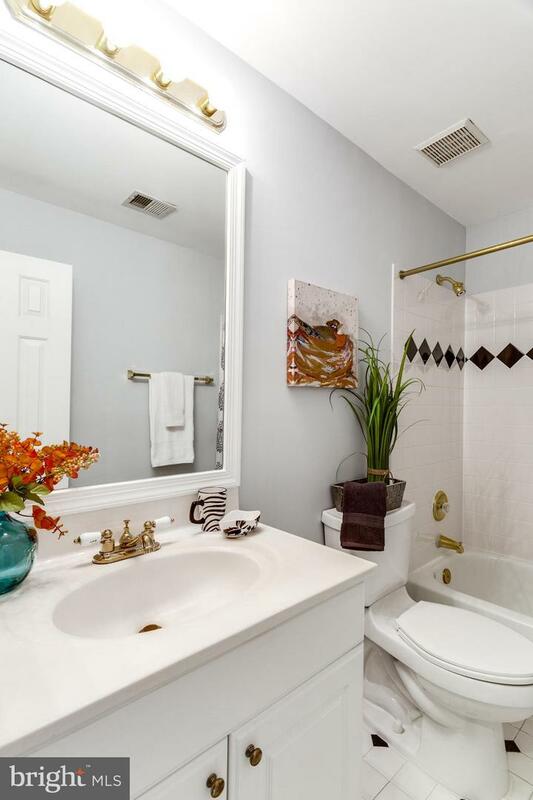 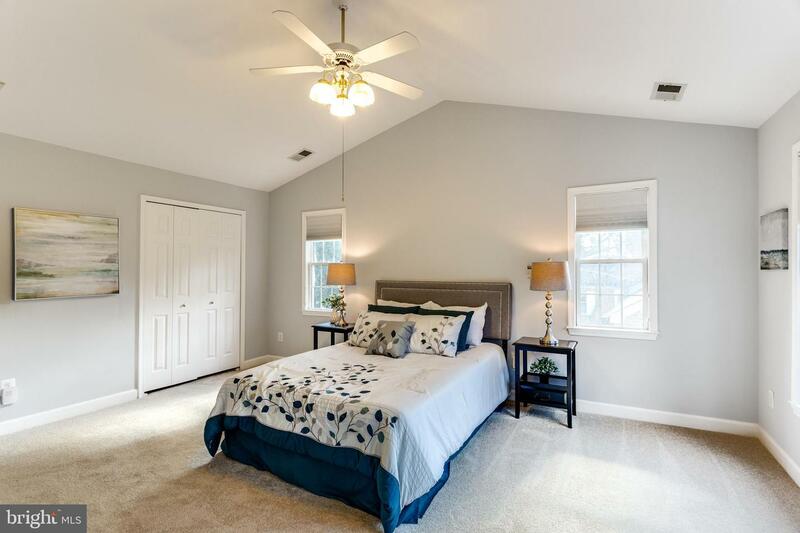 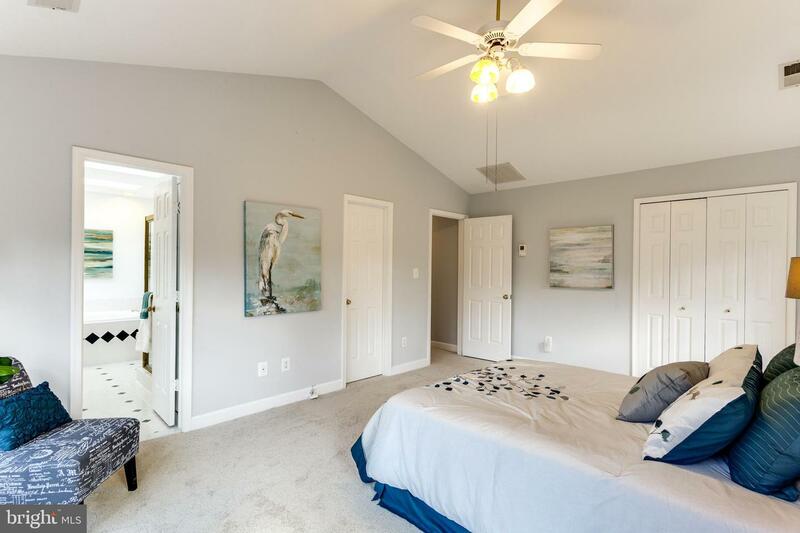 The upper level of this home offers four well-appointed bedrooms. 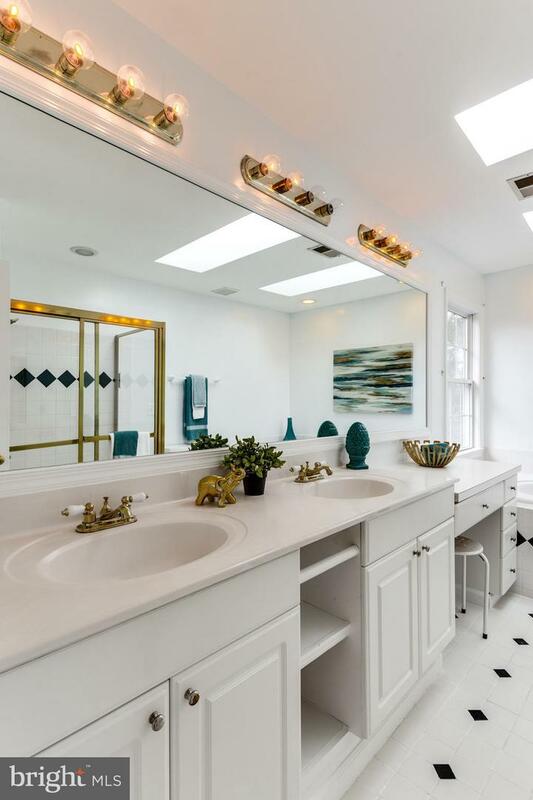 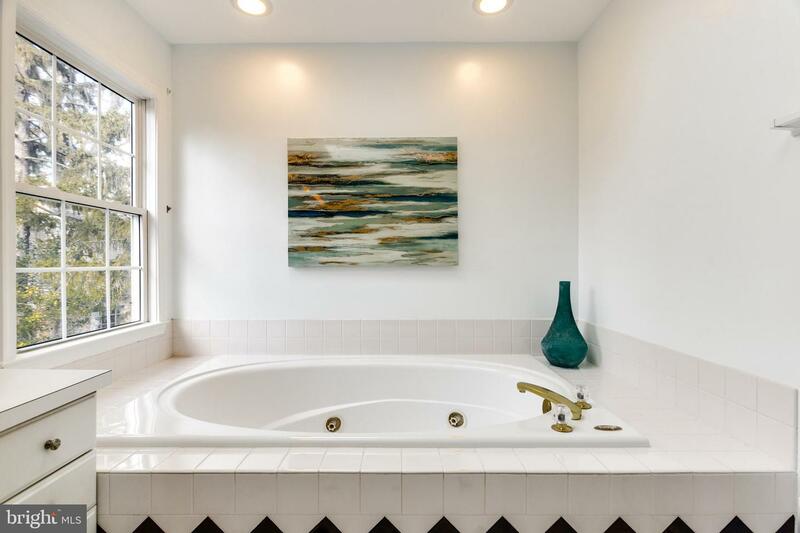 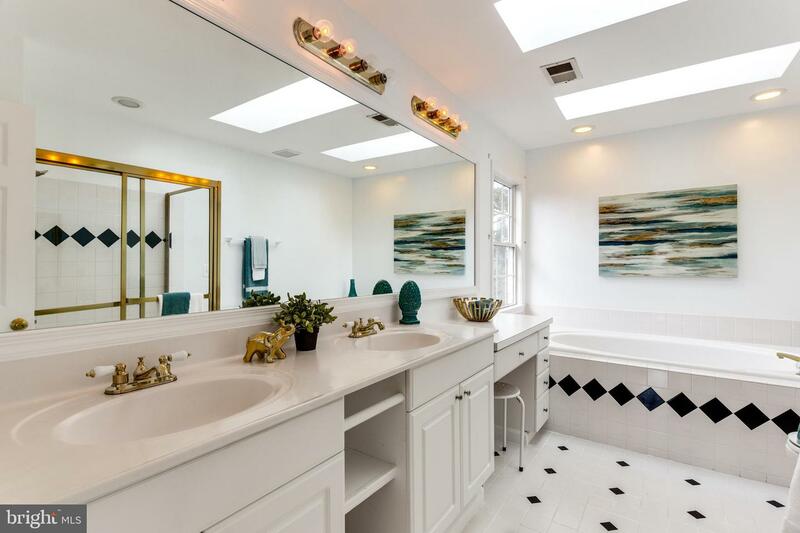 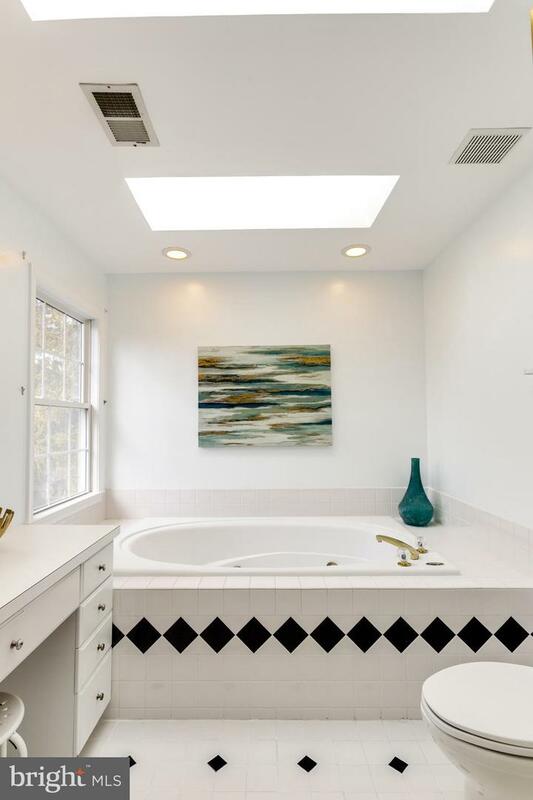 The owner~s suite includes a vaulted ceiling, luxury bath with dual vanity, jetted tub and separate shower. 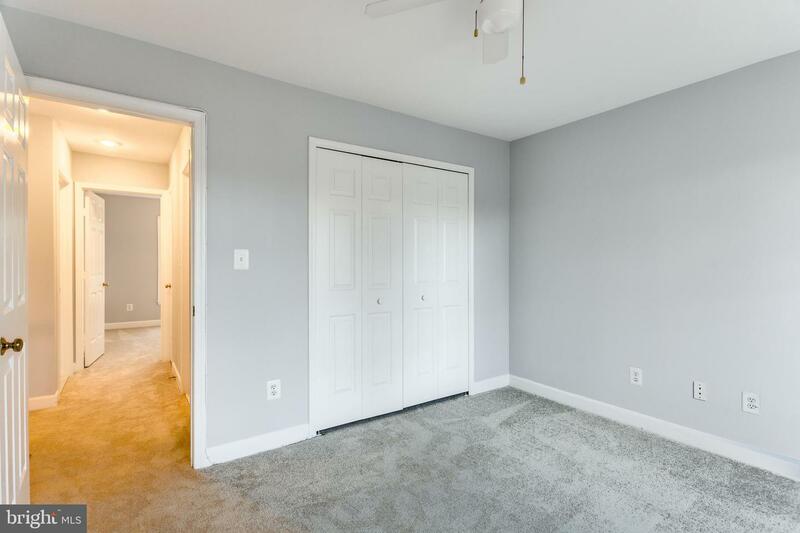 Brand new carpeting has just been installed. 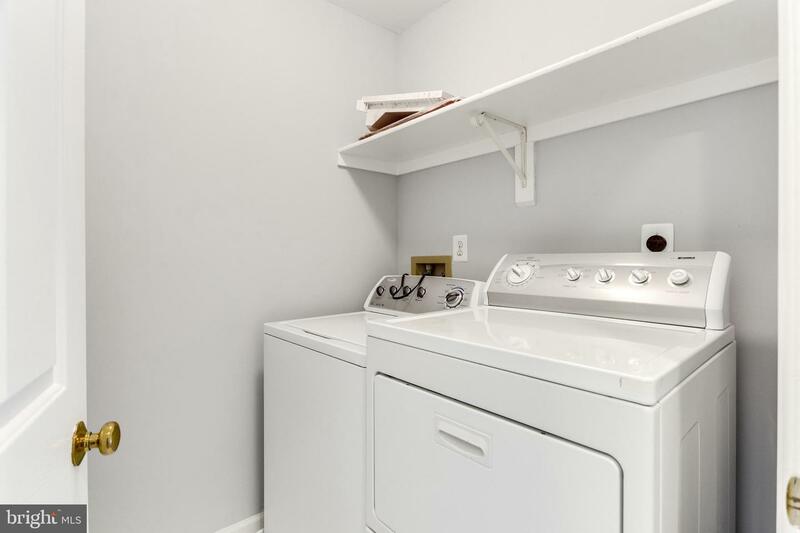 The laundry is located on the bedroom level for ease and convenience. 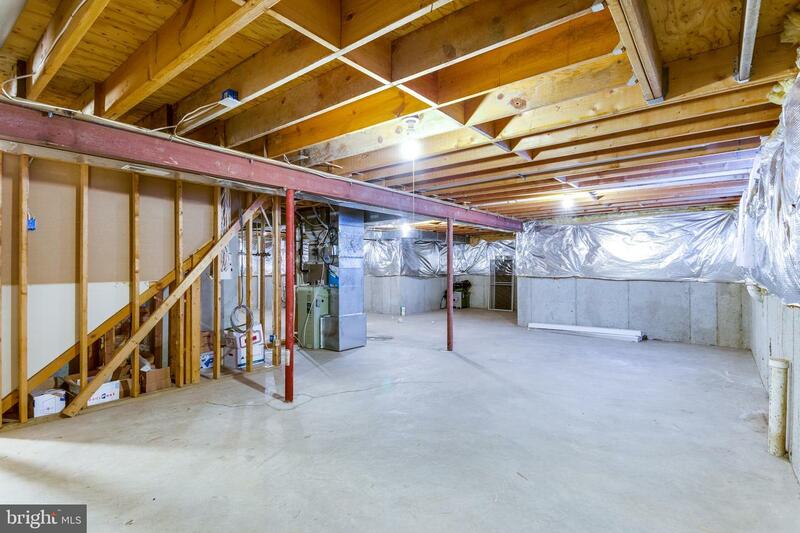 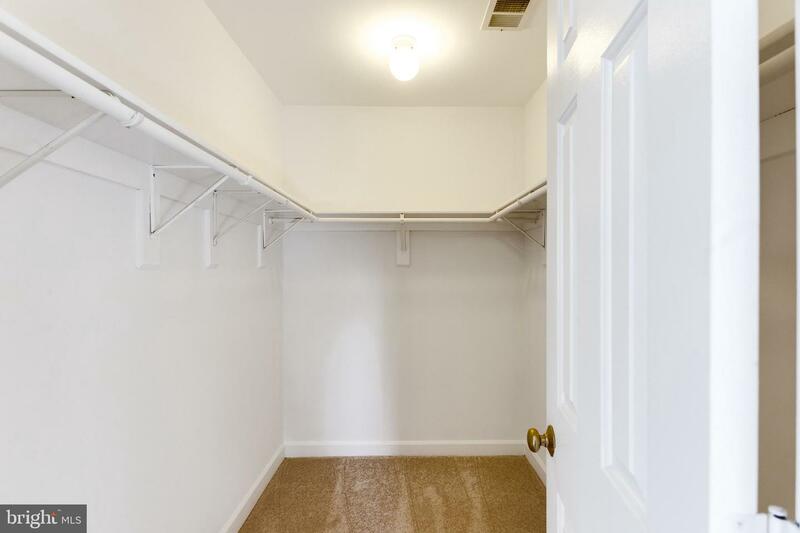 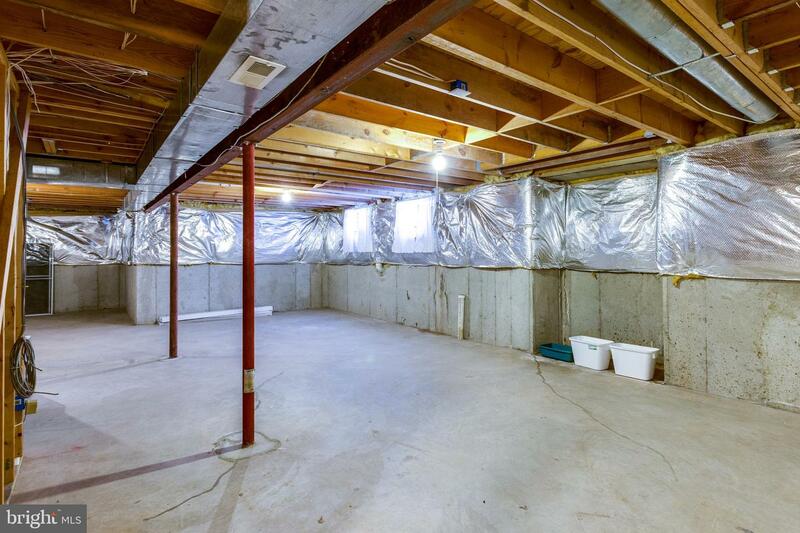 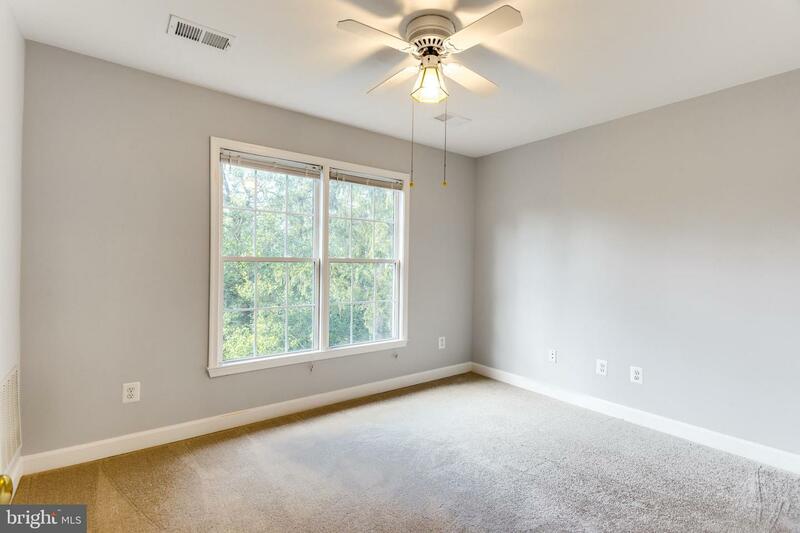 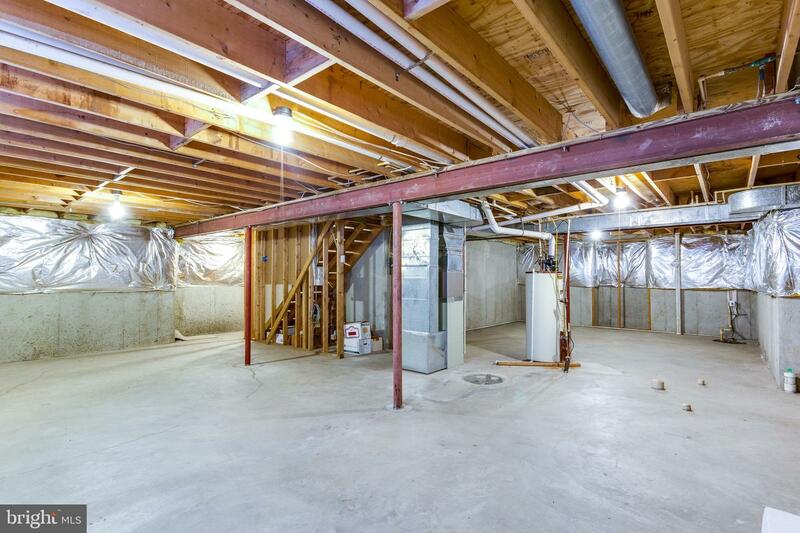 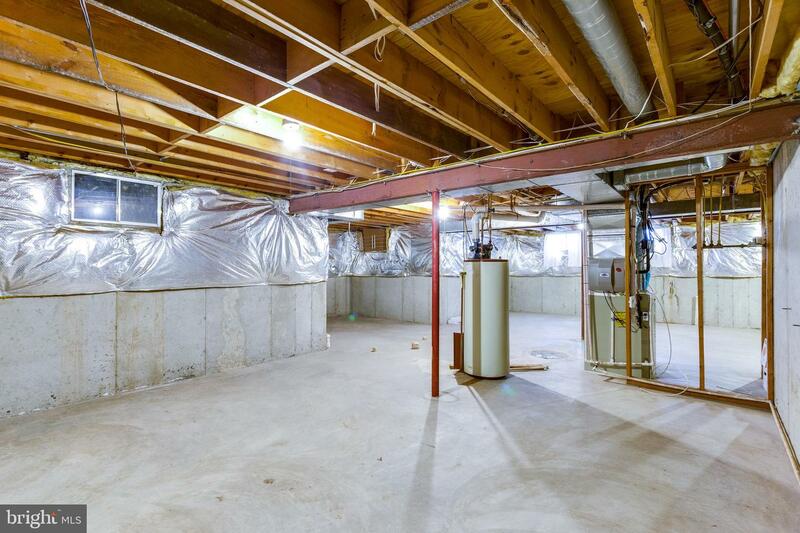 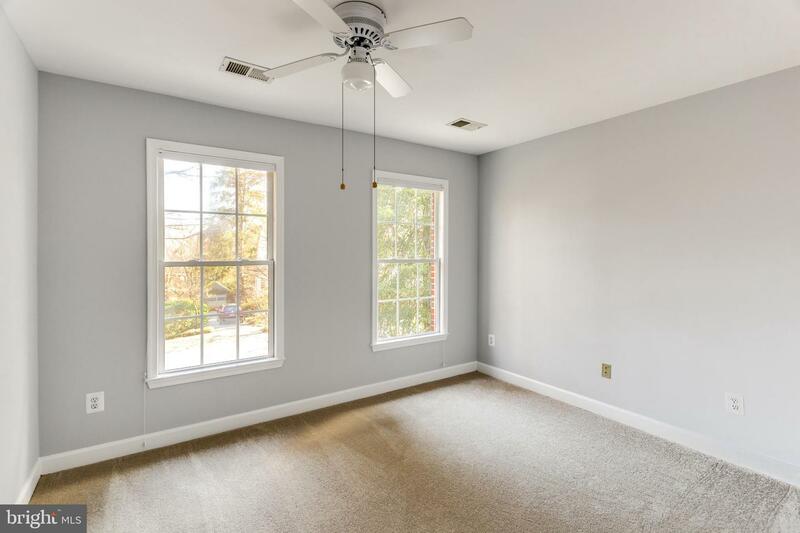 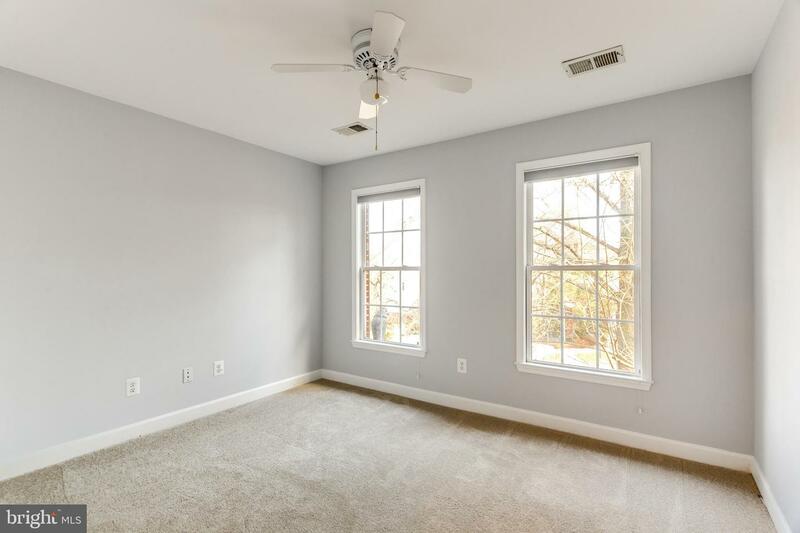 The spacious basement with rough-in bath awaits your finishing touches. 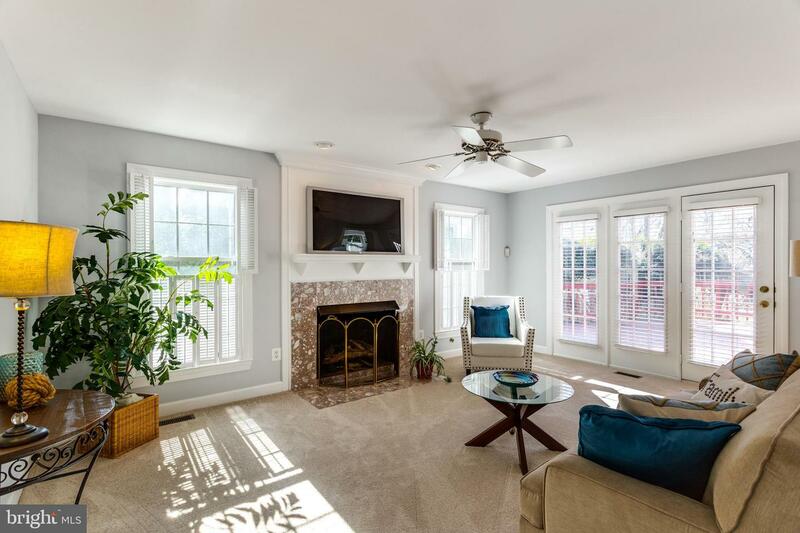 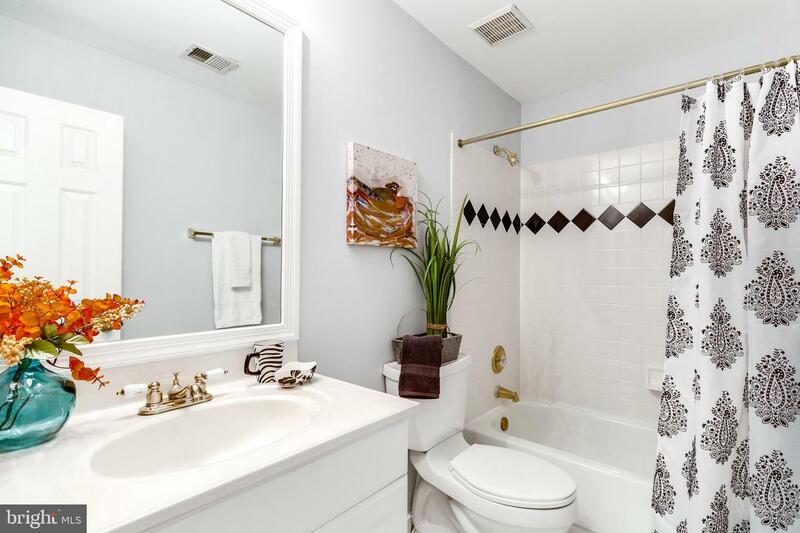 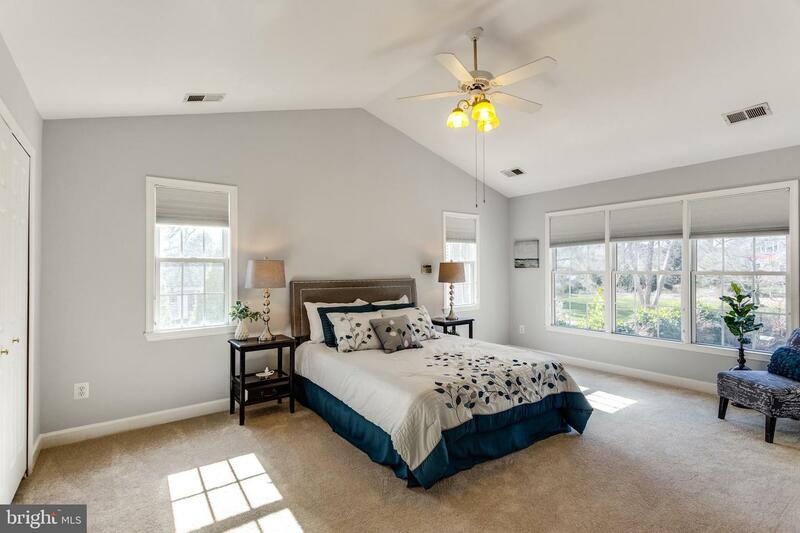 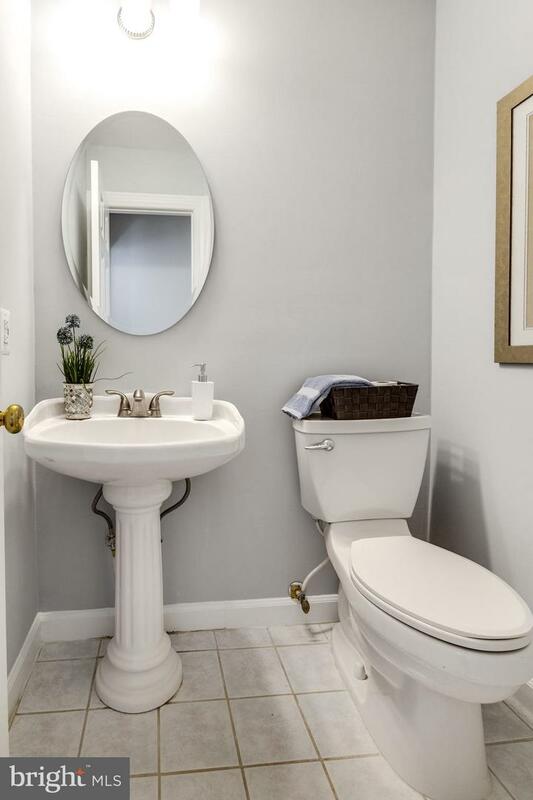 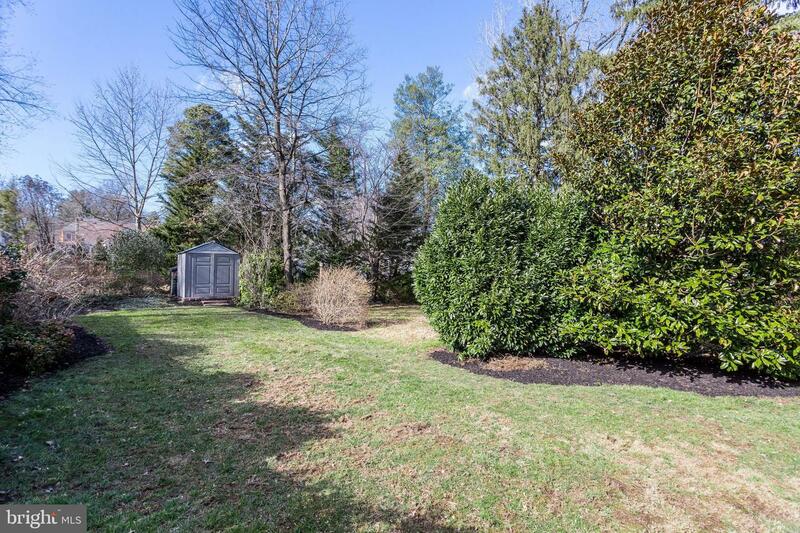 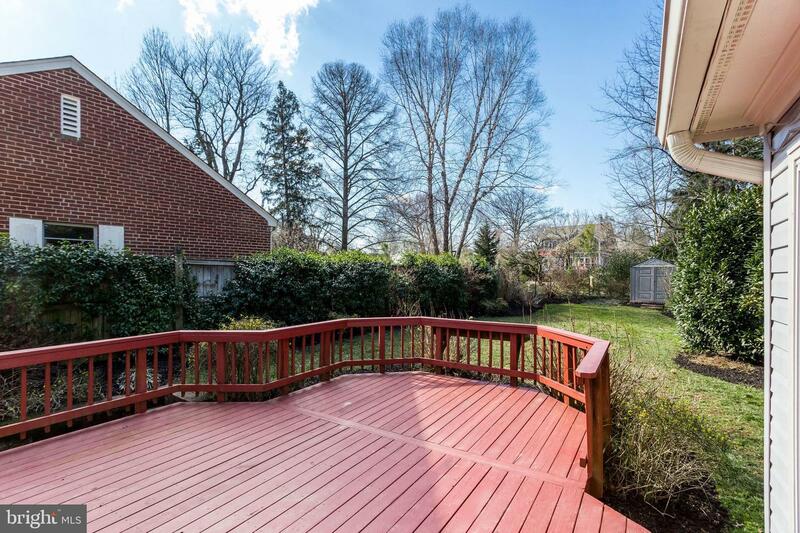 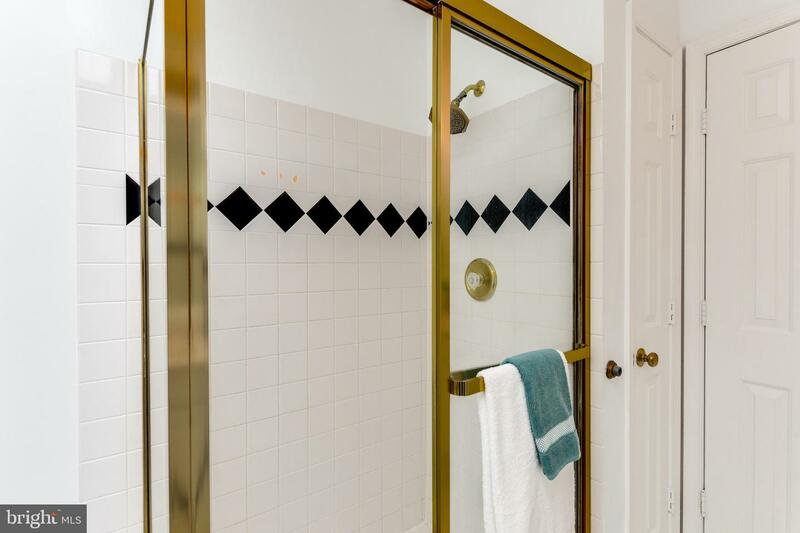 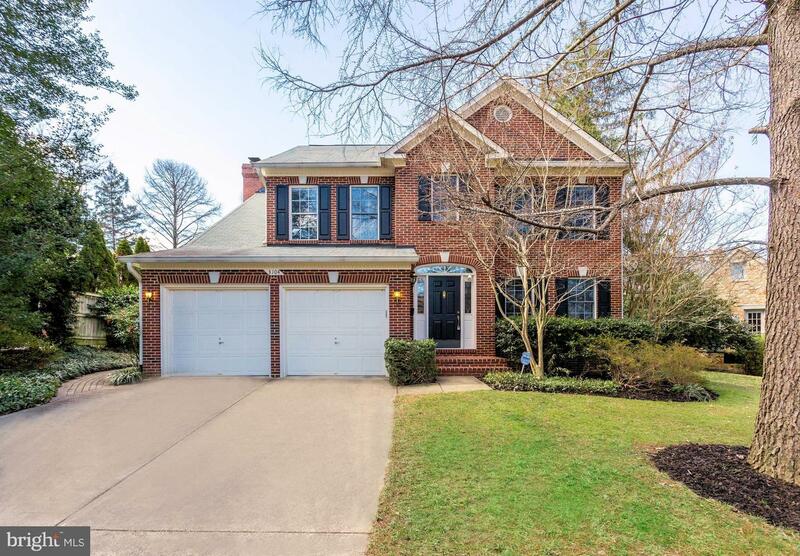 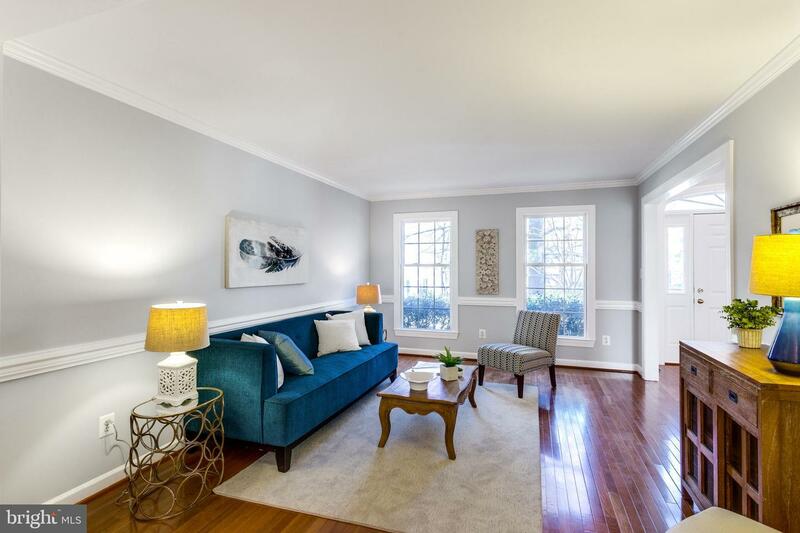 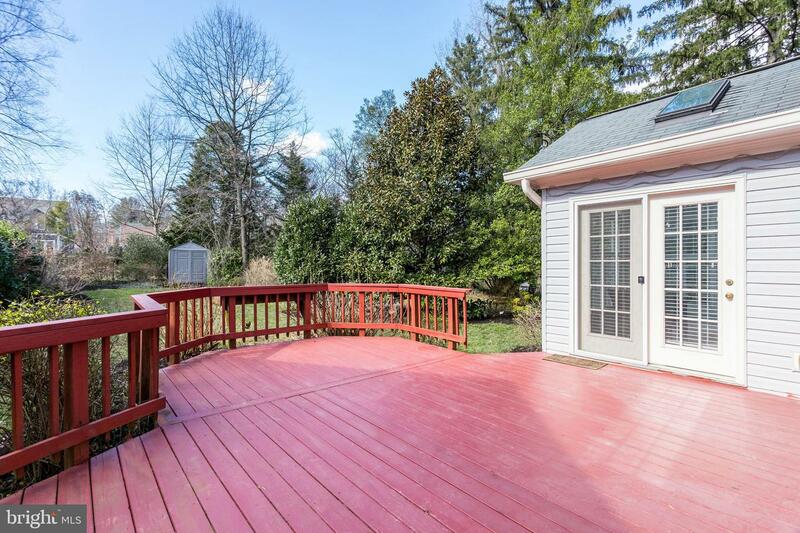 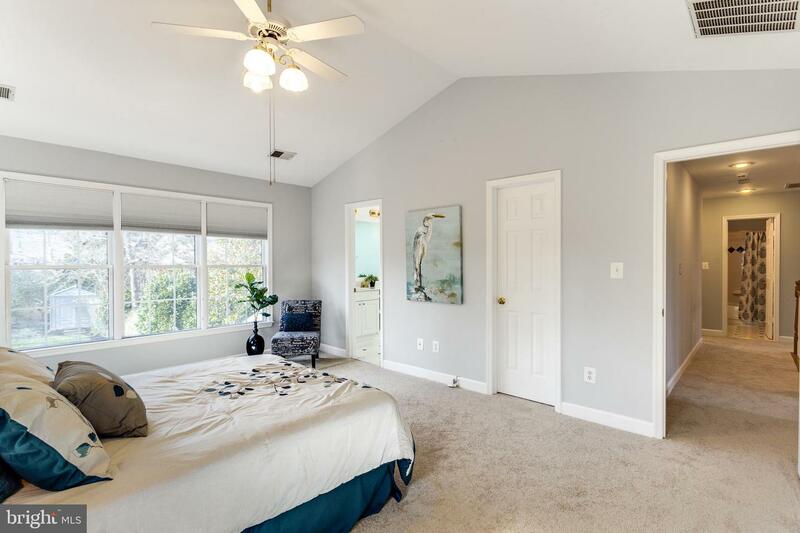 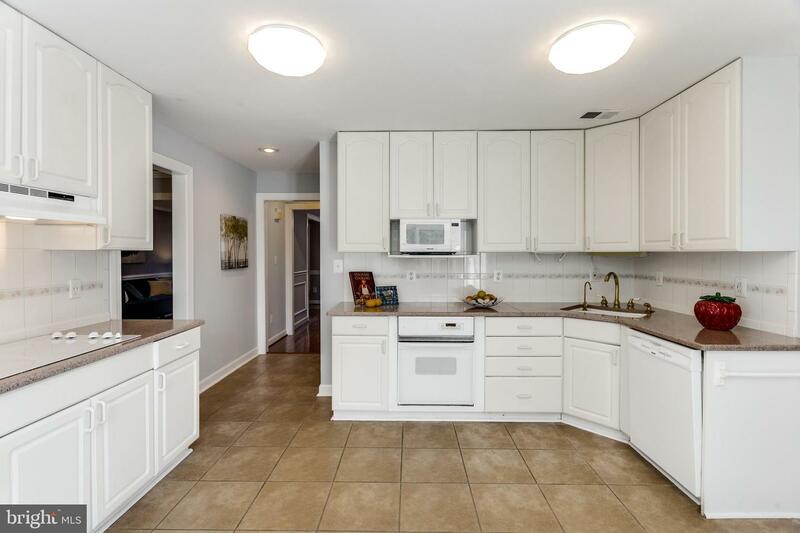 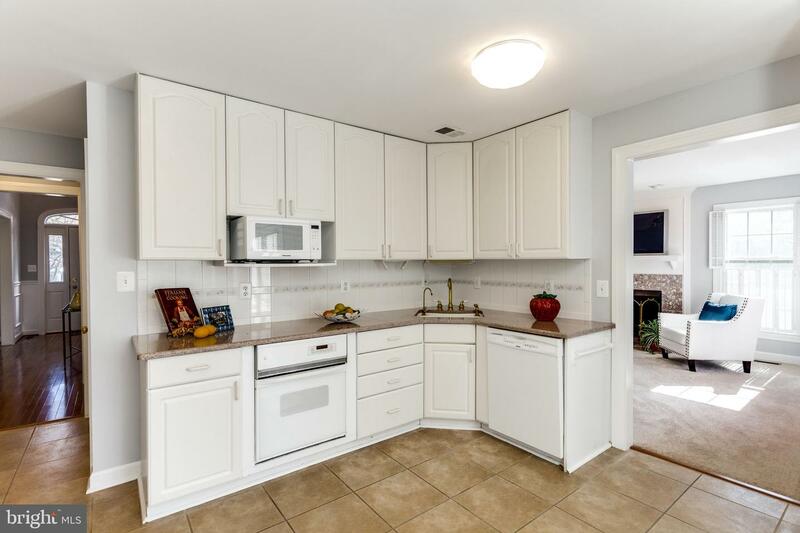 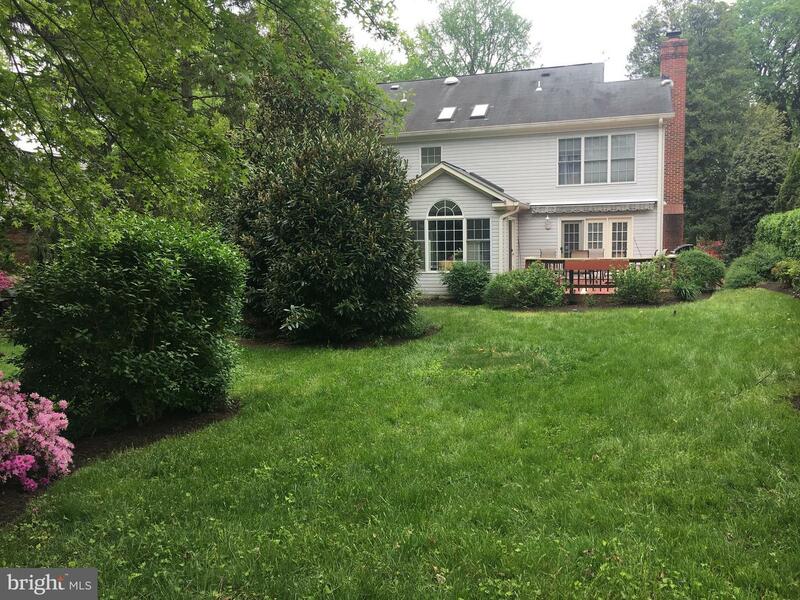 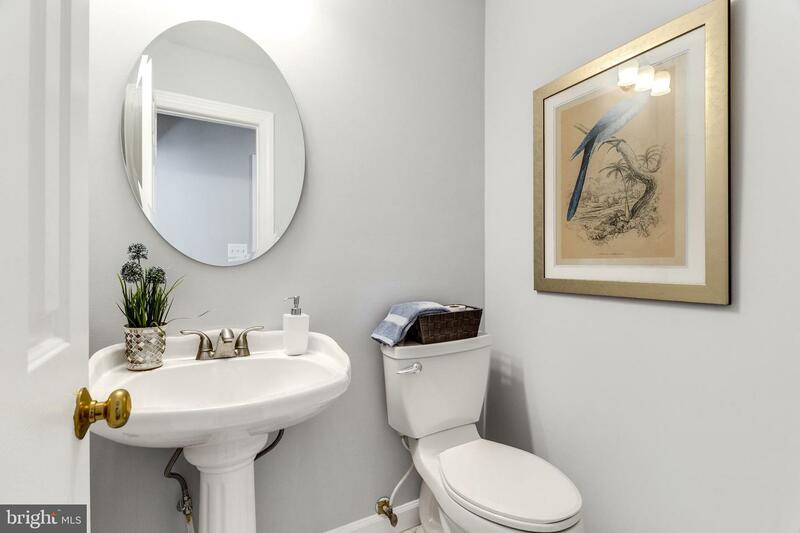 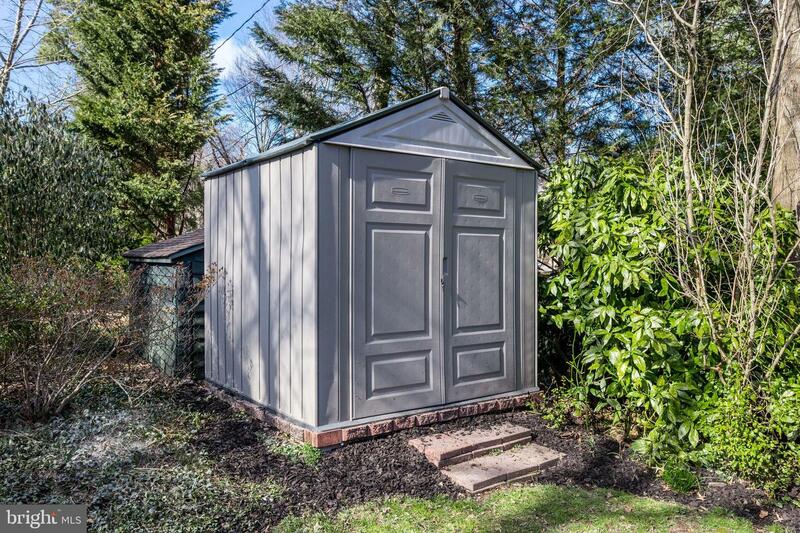 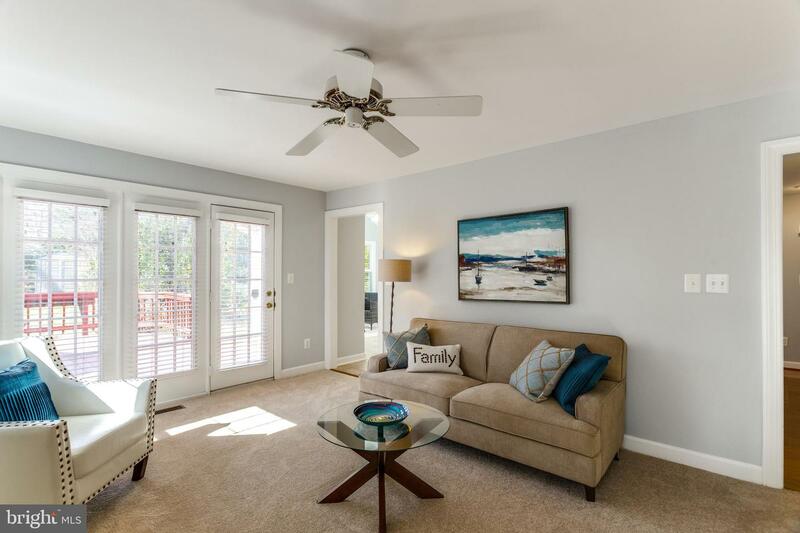 With metro bus and East Falls Church Metro nearby, this home is truly a commuter~s dream. 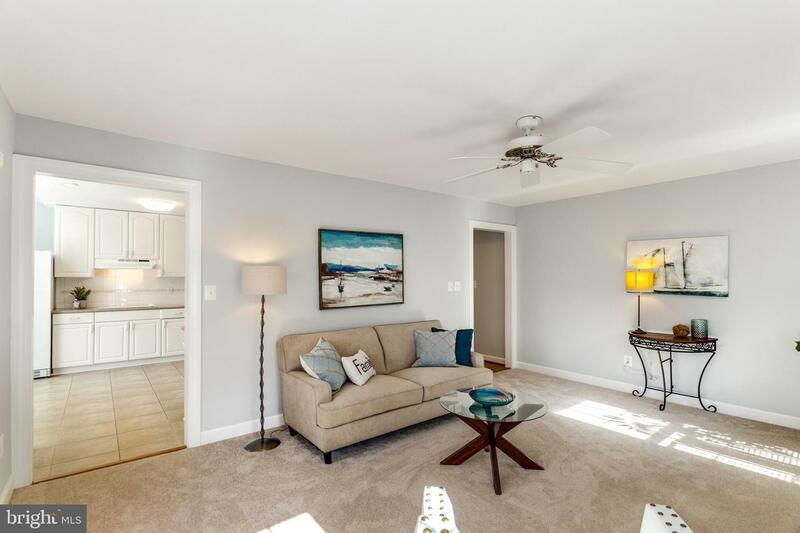 Why not make Worthington Circle your home today?